Invitation Suite: (cards, Save the Date, envelopes), accessories/ jewelry, bridal shoes, garter, his / her rings (bride and grooms – including band and engagement rings), tiara, veil, favors, other unique or sentimental pieces. Please be sure to remove any brand/price tags off these items. If you plan on gifting each other gifs or cards, please be sure Trans4mation Photography is there to capture the moment each of you opens the gifts/cards. Please consider bringing your wedding dress on a specialty hanger, perhaps with the bride’s name on it. (Try to do that for the bridesmaids dresses as well). Photographing your dress with this hanger will create much better images (as opposed to the plastic hangers your bridal shop provides). You can order these on websites like Etsy.com. If possible, please have the bridal bouquet and other flowers delivered to the same location as the Bride’s Getting Ready Location. Similarly, please have the boutonnieres delivered to the Groom’s Getting Ready Location. It is recommended that a good portion of the florist budget is spent on the bridal bouquet as it will appear in many of the photographs! Please provide me with a copy of your Day of Timeline/ Schedule. This may include separate timelines from the venue, DJ/Band/MC, or one you or your wedding planner created. The most preferred timeline is one that combines all the events and times into one clear list. Please bring any props you wish to be part of the photography: e.g., sunglasses, cigars, signs, golf clubs, umbrellas, sparklers, clothing, pets, etc. 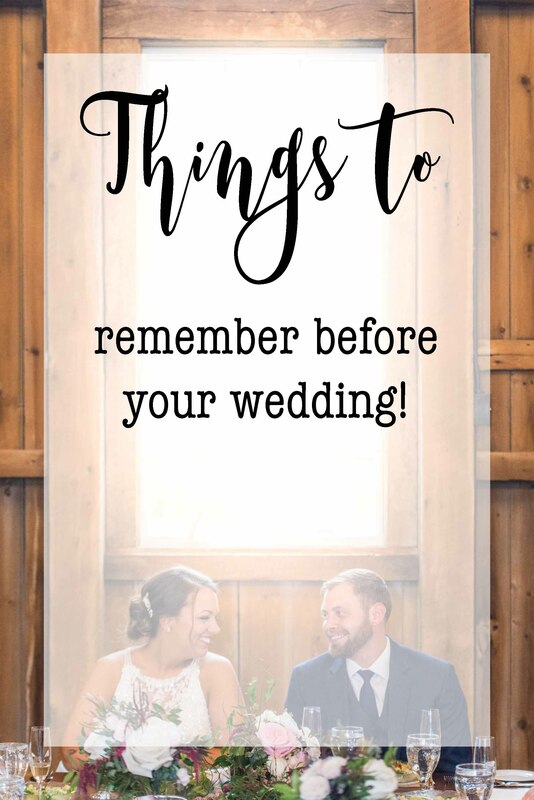 Please consider communicating to your wedding guests to limit the use of their cell phones (for photos) or standing in the aisle during the processional and recessional. It’s been my experience that whenever a guest raises their arms in the middle of the processional and recessional to take a photo/video, it may entirely block the view or ruin the beauty of these sacred moments in the final product. Your officiant can announce the restriction ahead of the ceremony. Will there be any special events during your wedding day (ceremony, cocktails, or reception?) such as: candle or sand ceremony, Ketubah, doves, balloons, sparklers, fireworks, horse-drawn carriage, communion, etc.? If so, please communicate these events with me and give the approximate time it will occur. Please remember to provide me (and 2nd photographer if part of the package) with a full meal (same as your guests). It is best to serve meals to the photographers while the bride and groom are eating (usually first). Guest don’t like their photos taken while eating dinner, which makes it the best time for us to take a quick break and enjoy a meal. Please communicate any other or last minute information that might help me do my job in the best possible way. These reminders are simply intended to help improve the quality of your experience and photographs! Thank you for helping me, help you!